I did a basic coolant change(drain out of bottom,jack up front of the car, fill with new coolant untill is comes out, tighten drain bolt) and now I have a noticeable coolant leak. I'm guessing I airlocked the system and somehow cause a high pressure pocket to bust a gasket. It is dripping from the corner of the out pan next to the oil cooler. Does anyone have any ideas where it could be coming from? Check every connection, plug and seal you touched when changing your coolant. Perhaps you lost o-ring seal on coolant temperature sensor or drain plug is not sufficiently tight? By the way, there is no point jacking up the front when changine coolant since expansion bottle is at the highest point anyway. Garages often damage the aluminium hose barbs by fitting old style screw hose clamps instead of reusing the existing Clic type hose clamps. That causes major leaks and often renewal of radiator and tunnel pipes. Oil cooler is water cooled. Perhaps an o-ring there is leaking? Ought to be fairly easy to inspect just by looking. Thanks for the info, its 1am now so ill give it a good look over tomorrow, The only 2 bits i took off were the lower coolant plug and the expansion tank cap. I should have taken off the coolant temp sensor but i was feeling lazy and didnt. Im a bit worried. In this diagram(451 CDI, similar to 450 cdi) , 5 is the coolant pump, 7 is the thermostat. 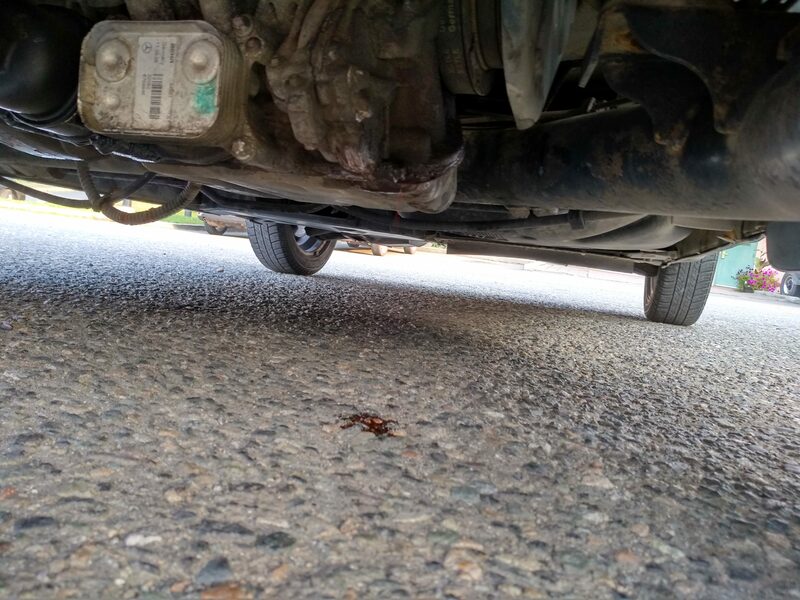 Where coolant drips depends also on how the car sits. You say you "took off" the drain plug. You mean you screwed it all out, physically removed it? In that case could be its seal. To bleed all air out of your cooling system you have to lift (not remove) coolant temperature sensor whilst expansion bottle cap is off. The only alternative if you do not wish to do that is to vacuum bleed. If you ran your smart with partly filled cooling system, there is of course a good chance engine has overheated and irreversibly damaged. 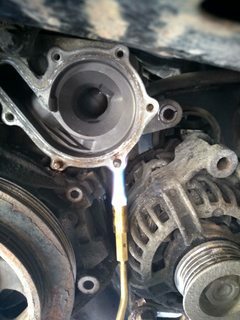 Pump running without coolant knackers its seal. Pressure in cooling system is same all over. Pressure is limited by relief valve in expansion bottle cap. Changing water pump is an easy job. The heads on your Torx bolts holding water pump do still appear to be intact so at least you have something to fit your E socket onto. Not so when I first removed my oil pan. The screw heads were so rusty that no E socket would fit. Had to weld special V'ed out M8 nuts to the bolt remains to get them out. Of course heat from the weld makes removal easy. Cannot remember whether above sectioned bolt came out of my sump or one of the three clutch actuator bolts that always tend to seize solid. I drill out the M8 nut to about half depth. Fit the special nut over the bolt remains and MIG weld nut to bolt trying to get as much heat as possible into the bolt. Good fusion with nut all around is not that important whilst good fusion with bolt remains is. I therefore aim straight at the bolt remains when welding. Hopefully you will not need to do this. 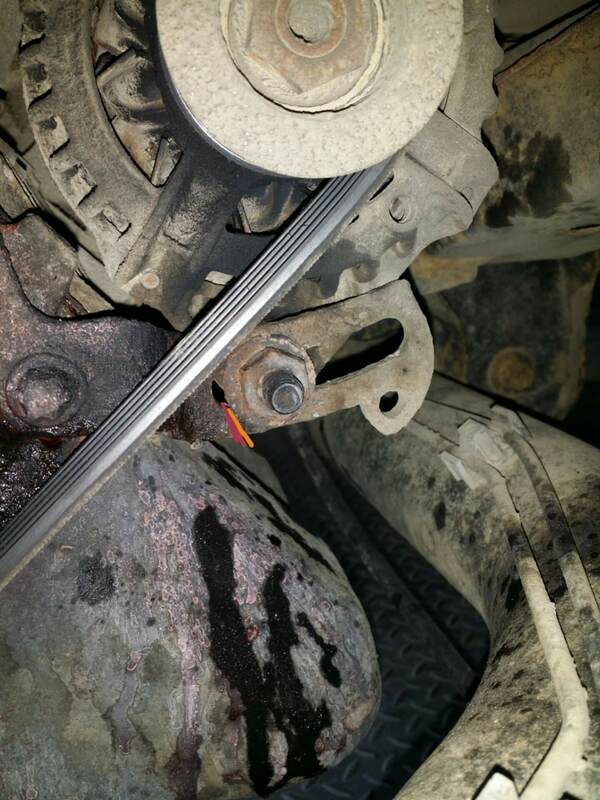 When draining coolant, tie a rope snugly around rear right drive shaft. This to provide a liquid run off point so you can recover most of your coolant as otherwise coolant would run along the drive shaft and be lost. Remember to remove expansion bottle cap when draining. 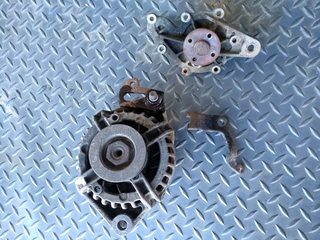 Alternator uses water pump as one of its fixation points and alternator must therefore be unbolted and shifted forward. Therefore wise to disconnect battery first. I've no knowledge on the diesel, but on the petrol 450 one bleeds the system following a coolant change by ever so slightly releasing the drain plug until coolant comes out. One then slightly releases the coolant sensor atop the engine and then push it back into position when the coolant comes out. New coolant has a fairly strong capillary action, so it's not unusual for new coolant to exploit a weakness and spring a leak an older vehicle. Good luck fixing it. I was going to do it today but the pump was late and i decided to get a new belt too. I gradually fit stainless steel bolts since they won’t rust and are cheap. Prefer traditional hex head. I concur with your bolt removing procedures. I use oxy acetylene because much more heat. I'm afraid i agree with the torches way over propane as it is a faster heat and doesn't allow the bolt to swell but just the surrounding area allowing you to easily loosen the bolt. 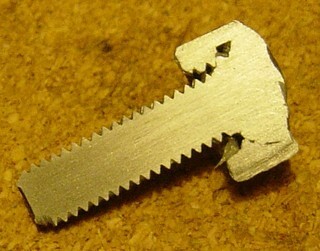 Most times using a slower heating technique, you'll snap the head off as you have weakened the neck of the bolt. IF this is the only way you have get an ice cube to cool the head of the bolt and hopefully the shaft before trying to trun it, It may help reduce the swelling allowing it to turn inside the block. Just don't allow too much heat all over the place. A sharp rap with a heavy hammer helps, an inpact gun usually simply snaps the head off. BUT a impact driver works well, but make sure you use the correct sized socket or at worst one you have beaten onto the bolt. Better that than spin the shape of the head off using the incorrect sized socket. Just saying. Remember it's alluminium right so don't beat too hard incase you miss your targeted hiting surface! I don't soak bolts overnight as I have zero patience but many many folks do with good results. Also many heat cycles may help weaken the hold between the two materials. Again take your time and good luck. Just be carefull using an impact gun...air operated. I have snapped off many using such a gun. and yes i have all the necessary tools, it happens all the time! If you do, centre punch the remaining shaft after maybe grinding the broken bolt so you get the centre of the shaft. Then drill it out very carefully, too deep, off by a bit and you have a boat anchor for an engine....it's a dangerous place to drill holes without taking as much care as you can!!! 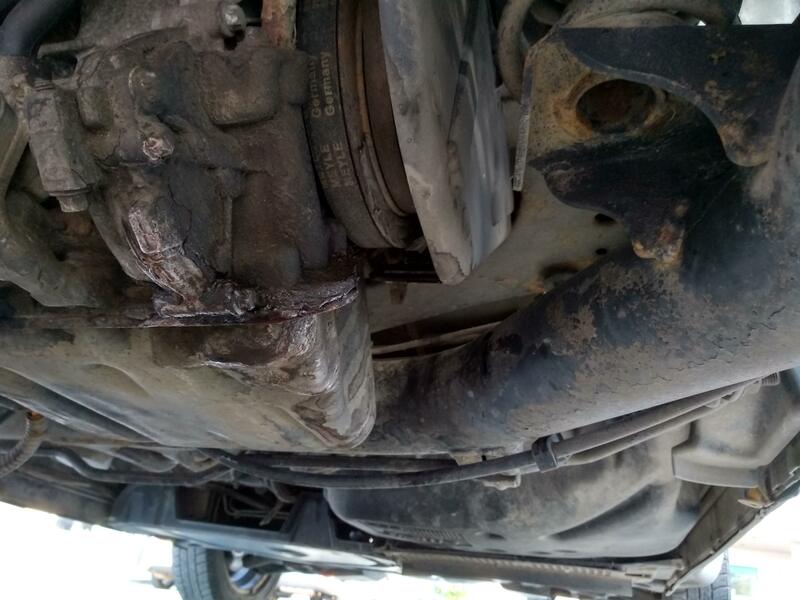 The dealership will be doing the very same work, but with maybe better tools is all. So if you snap a bolt they probably would also. Sometimes it just happens. It's how you move forwards after snapping it, is what really matters! Again good luck....it's not rocket science...! Alternator tensioning bolts are M8 and M10 if my memory is right. Snapping any of them is not very promising for the smaller M6 bolts. It is not clear to me which one you snapped. I suppose you know the ringed bolt won’t turn. You only turn nut. Now THAT's a useful bit of information......as if you have plenty of dirt build up you may just have a go at the bolt, wouldn't you if you didn't know better...!...... I suppose you know the ringed bolt won’t turn. You only turn nut. My only hope is that the higher bolts that are harder to reach are out of the elements so will be corroded less. The mount cracked along the orange/red line. On my 450 I have greased all bolt connections except the wheel bolts. Therefore most bolts are easily undone. 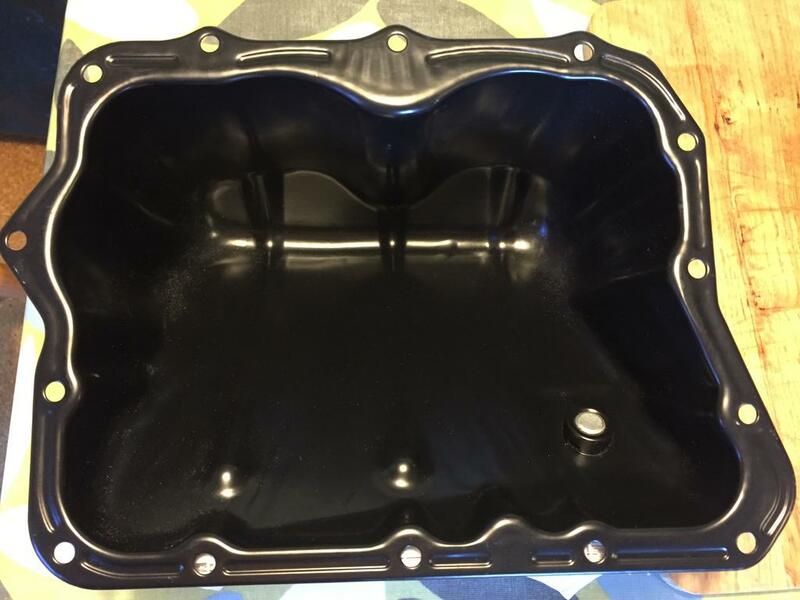 Your oil pan looks like it has been through wars. How about renewing or adding some protective paint? They are cheap here. Bought one not long ago for less than £20 inclusive of postage from Germany. 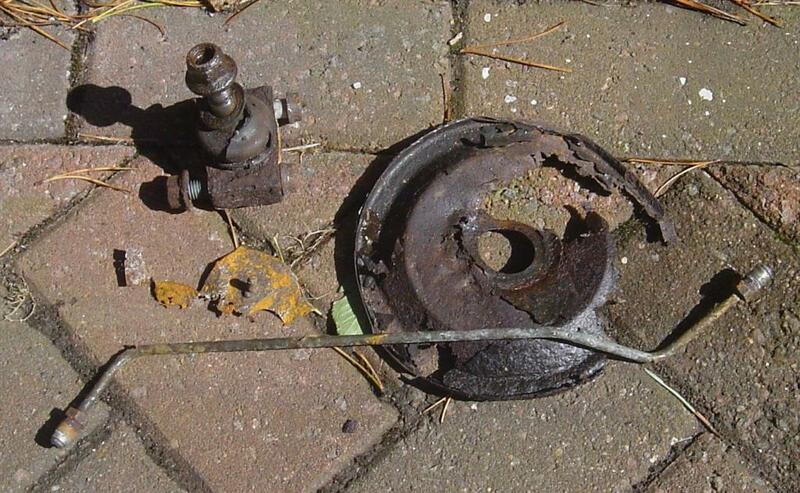 Came with drain plug fitted in a well added at lowest point. Note the castellated nut that drain plug screws into. Provides a path for the last oil to drain. That is really smart to grease bolts. Im not sure about the bolt, i haven't done any work on the engine. 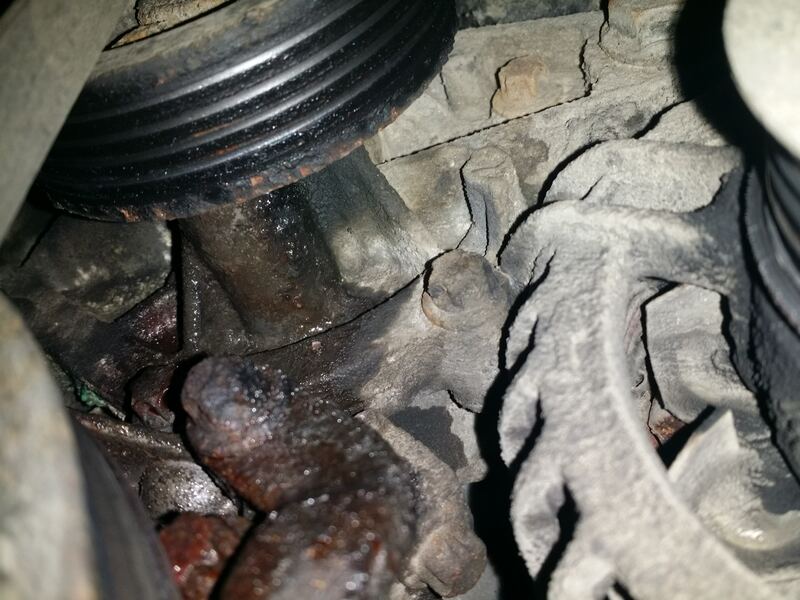 Do you mean the nut im seeing from the wheel well(in pic) isnt the one to rotate? I snapped one of my carbide steel drill bits off inside one of the snapped coolant pump bolts so that will be there forever and i will have 1 less bolt holding my coolant pump on. The bracket for the alternator tensioner is broken and the bolt is seized(im taking it to a welding shop today). While the alternator is out im going to give it a good cleaning so it hopefully lasts longer. 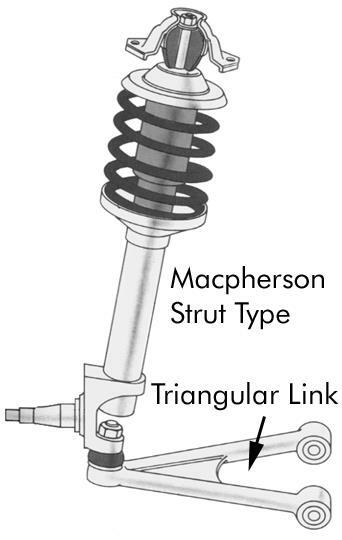 There are two bolts that hold the "bottom triangle link" to the "strut" on out mcpherson strut front suspension. They are both loose on my front passenger side, it makes the car feel very unsafe to drive. I snapped my brake bleed bolt(rear driver side) I will be drilling out and replacing soon, i have bleed all the other corners so the braking feels unstable at the moment. After i have done that I will start preparing the car for winter. Easy outs never work but heat does. Propane and Mapp gas do not burn hot enough unless you also add oxygen. For common DIY mechanics like us it is better employing our trusty mig welder. Weld nuts one size up to the bolt heads as I advised in one of my previous posts above and you save lots of time and aggravation. 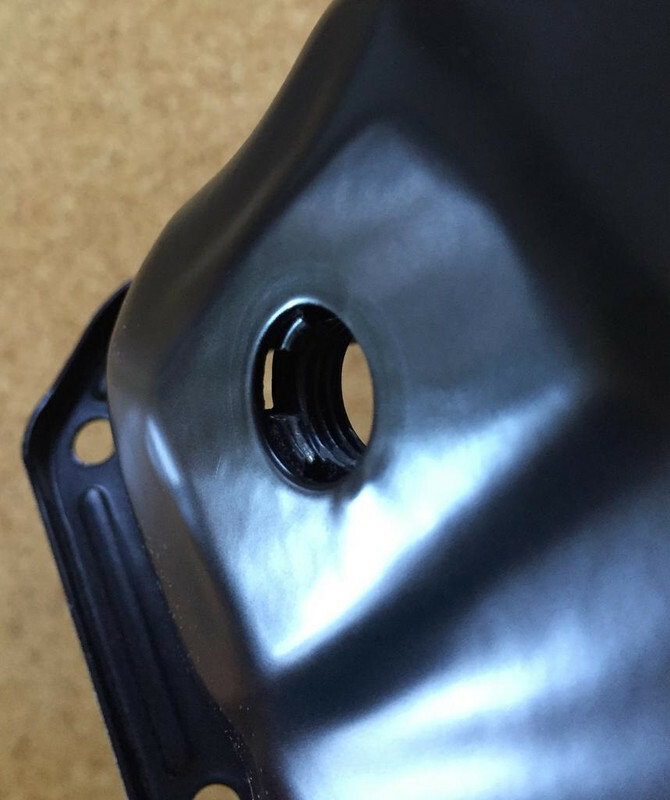 You can even get out M6 bolts that have snapped up to 5 mm into the hole provided you are reasonably good at welding. 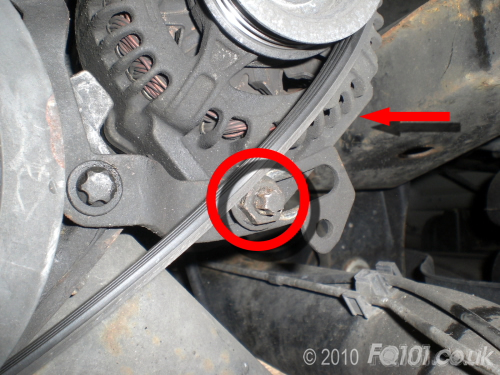 The two loose bolts you mention hold strut ball joint to steering knuckle but also clamp the two plates that form steering knuckle together. This ball joint sits behind my sup plate at 6 o’clock position. Note the stainless steel bolts and nyloc nuts. 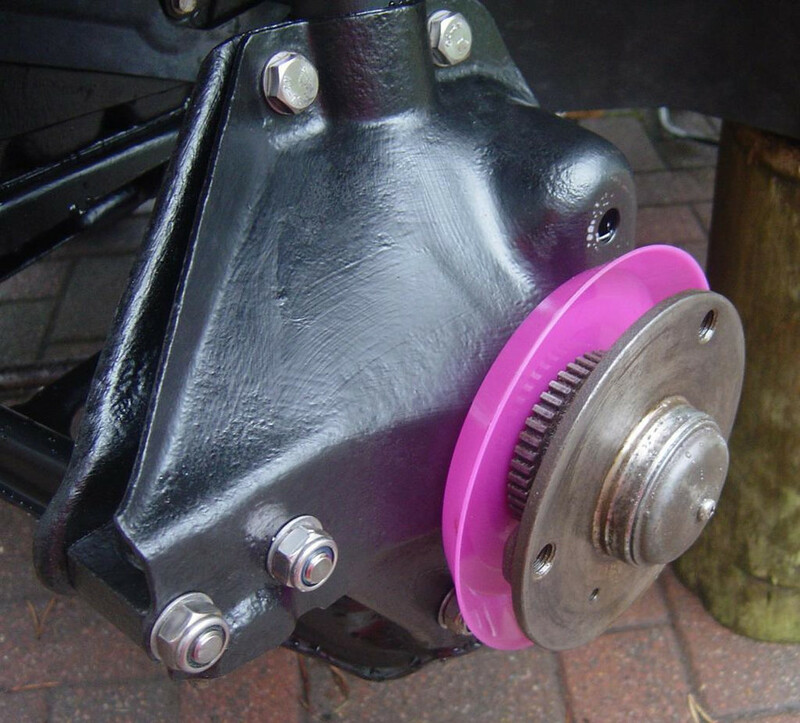 Won’t rust so less trouble when replacing ball joints. My plastic soup plate replaced above rusty splash guard. A new one is £12 from Smart whilst six soup plates only cost me 99 pence. 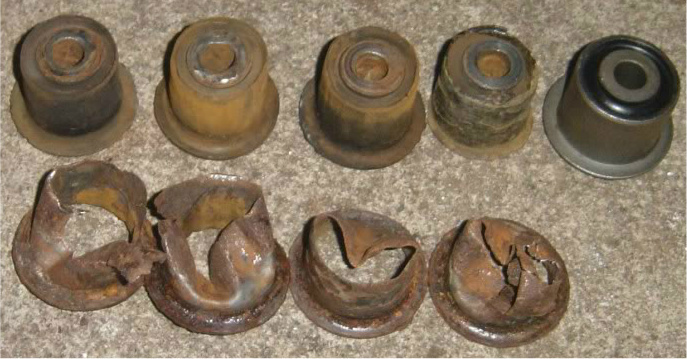 I suggest you also check condition of your rubber bushes at inboard end of wish bones. These are cheap only £5 each from Smart. Photo shows my miserably looking old wish bone bushes and one brand new.